The Micro-Canning Revolution: Now in Kombucha! Yes, we invented #MicroCanning for craft brewers. These days we’re also helping kombucha brewers reap the benefits of putting their treasured creations into aluminum cans via Cask canning systems. This video showcases how the husband and wife trailblazers at Happy Belly Kombucha just down the road from our main facility in Calgary, Canada use Cask equipment for great success. From SCOBY (symbiotic culture of bacteria and yeast) to SCOSY (superior canning optimization system)! Cans are the world’s most recycled beverage package. 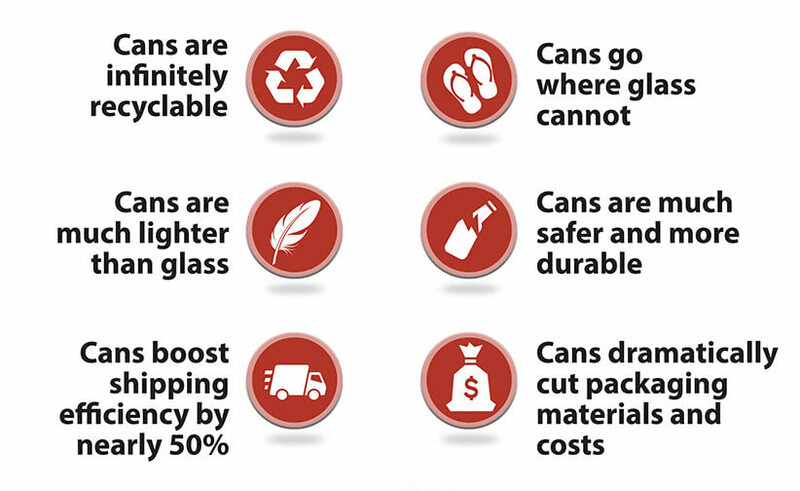 Aluminum cans are infinitely recyclable. Dramatically reduced carbon footprint when shipping. Lightweight portability and welcome in places where glass is not.